At the moment The Snail at Babylonstoren is all over Instagram. Many a selfie features the green metal structure richly hung with all sorts of pumpkins, gourds, calabashes and maranko … but how do they do this? And why do the veggies look so healthy? And can I try my hand on that old trellis at home? Sure, but first things first: picking the right varieties. 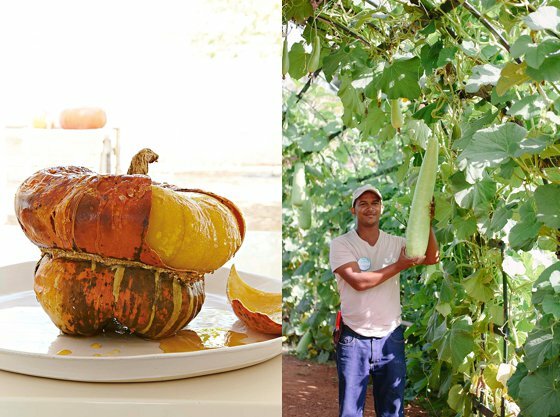 Now, while pumpkins ripen and show off their shapes and colours, is a good time to make a selection…speckled swan gourds, African calabash or tasty Turk’s Turban with its knobbly texture? One can harvest your own seeds from a ripe pumpkin, but it’s easier and rather fun to scour catalogues of seed companies during the dormant winter months. Try The Gravel Garden in Somerset West or Livingseeds. Seeds ship easily by mail. We start planting our first seeds in pots, in late spring. This in the greenhouse, where early warmth boosts germination. Then we transplant the new seedlings into the garden. 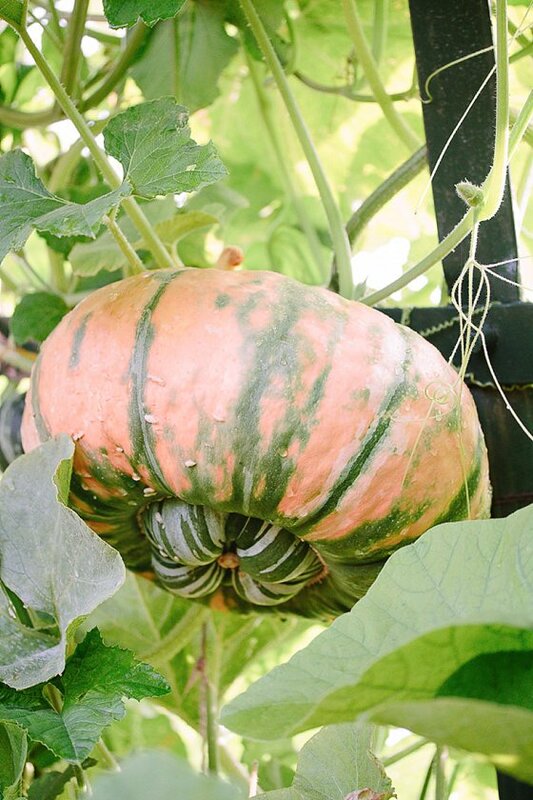 From middle-October pumpkin seeds can be sown directly into the ground – but always into soil enriched with compost and manure as pumpkins are greedy feeders. As the summer days turn hot, pumpkins speed up growth. Remember that while these outjies readily sprawl, they have limited climbing apparatus. So to trail them over climbing structures, the tips of the runners need to be tied gently every second day to guide in the right direction. They love regular watering and generous feeding (think rugby props at the table: spare ribs rather than tofu). And to prevent fungi discolouring the large leaves, water in the morning and preferably on the roots and not onto the leaves. You’ll discover an incidental benefit: with the veggies suspended safely up in the air, rotting is minimal, and unwelcome visitors like mice and creepy crawlies find it hard to reach the tasty treats. 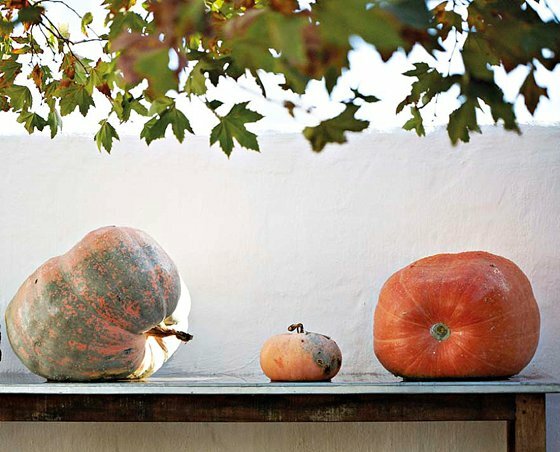 Most pumpkins mature 3-4 months after sowing and can be stored for many months if well-ripened before picking. Now whatya waitin’ for, Pumpkin?